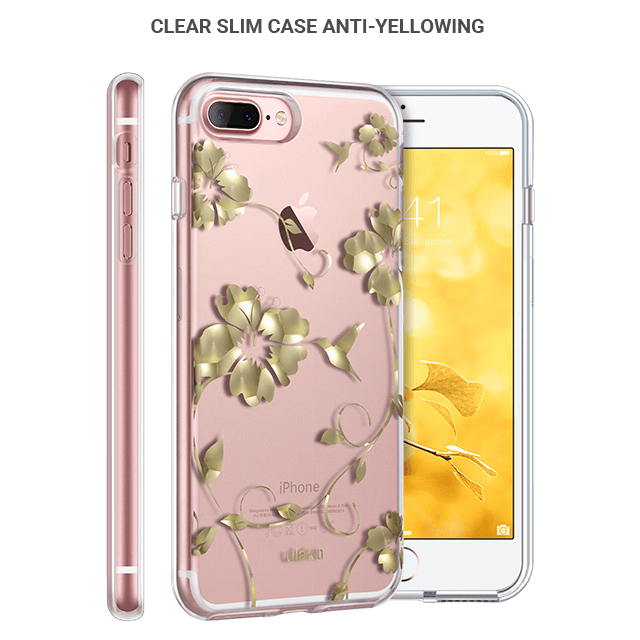 ULAK iPhone 7 Plus / 8 Plus Clear Case features with slim design and superior impact protection,premium clear design iPhone case unlike any other,shock-absorption, scratch-resistant coating, fashion eye-catching designs. The materials used in the case resist UV yellowing to keep them looking clear for the life of the case. 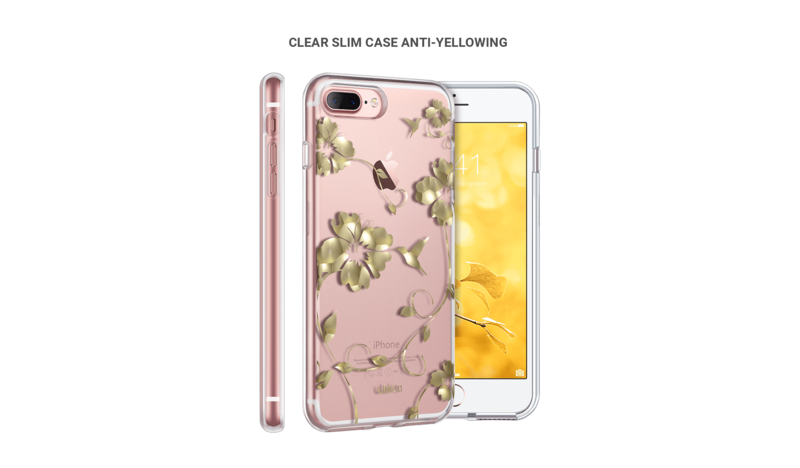 This clear design iPhone case also has a special coating that resists scratches.Encapsulated metallic design provides durable sparkly finish.